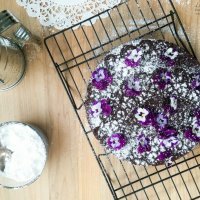 This Single-Layer Chocolate Cake with Edible Flowers is a pretty and simple chocolate cake that can be whipped up when you have the need or craving for chocolate cake. 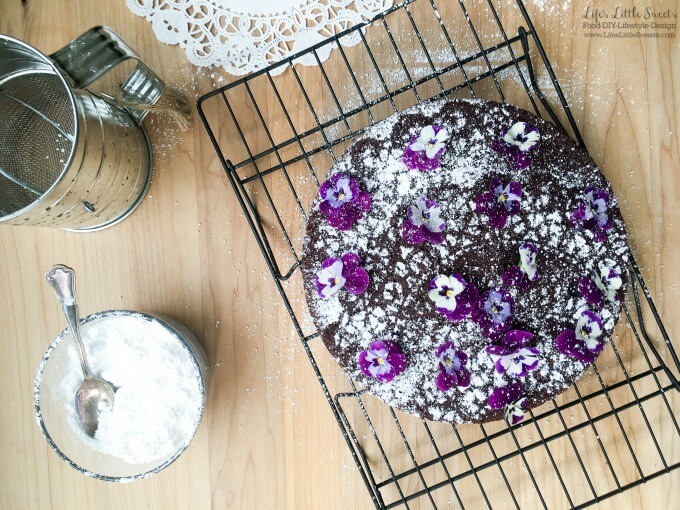 No need for frosting for this elegant cake as it is decorated with confectioner’s sugar and edible flowers. 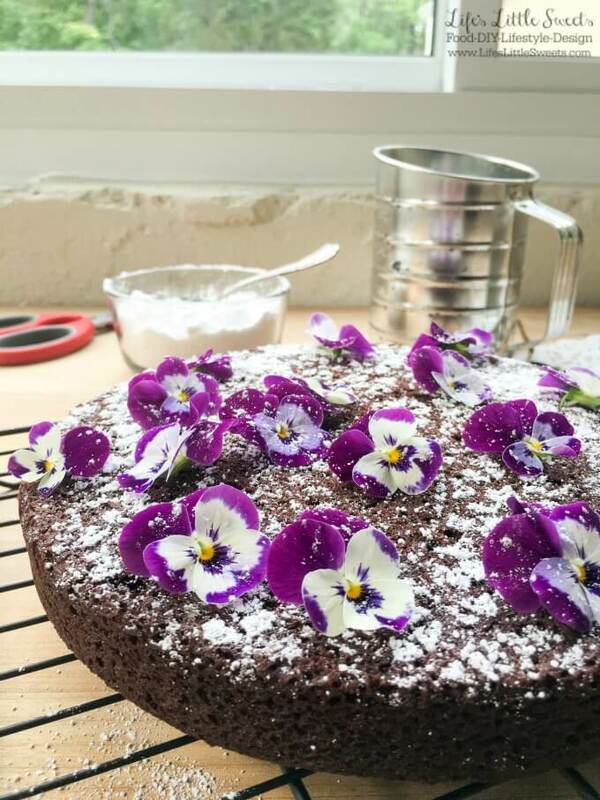 Back in early June, I made this Single-Layer Chocolate Cake with Edible Flowers as a birthday cake for my Father-in-Law (shared on my Instagram). I was short on time but I didn’t want to use a box mix and I wanted to give it a unique flair. I grow my own pansies during the Spring, Summer and Fall months in planters, did you know that certain varieties are edible? If you don’t grow your own edible flowers, sometimes I have seen them around Spring time in the produce section of the grocery store. 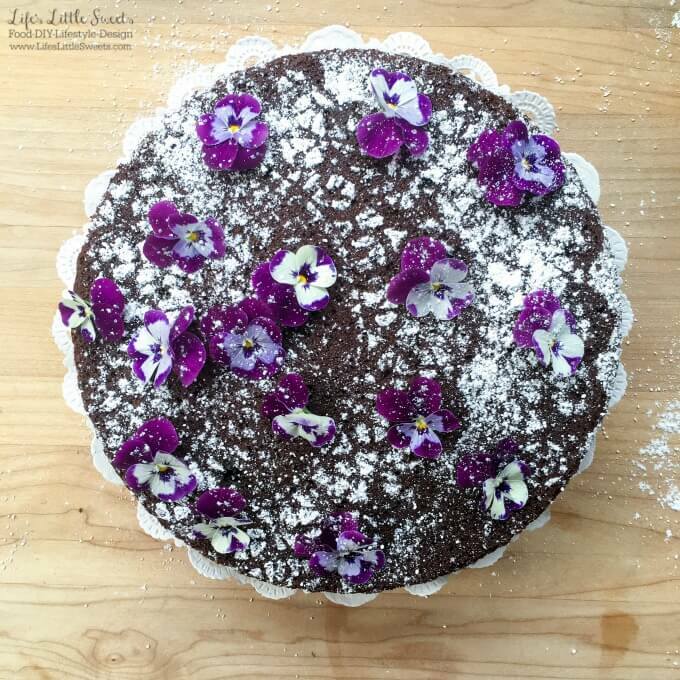 This recipe is inspired by Chocolate Orange Almond Cake (DF) here on Life’s Little Sweets. 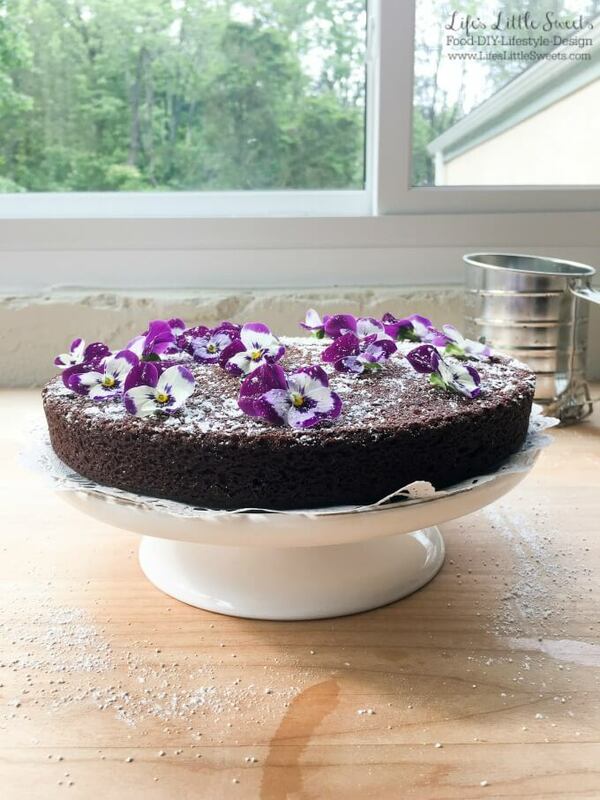 Single-Layer Chocolate Cake with Edible Flowers is a traditional iteration of the original dairy-free recipe. Grease and lightly flour a 9 x 2 inch round cake pan. Using a large mixing bowl, stir together flour, sugar, cocoa powder, baking soda, baking powder, and kosher salt, making sure the dry ingredients are well blended. Add the milk, canola oil and pure vanilla extract. Beat until just combined. Add the large egg and beat for a couple of minutes more, then spread batter into the prepared pan. Bake for 30 to 35 minutes or until a toothpick inserted into the center comes out clean. Cool the cake in the pan on a wire rack for 10 minutes, then remove the cake from the pan. Allow to cool before applying the confectioner's sugar over the doily in a desired pattern. 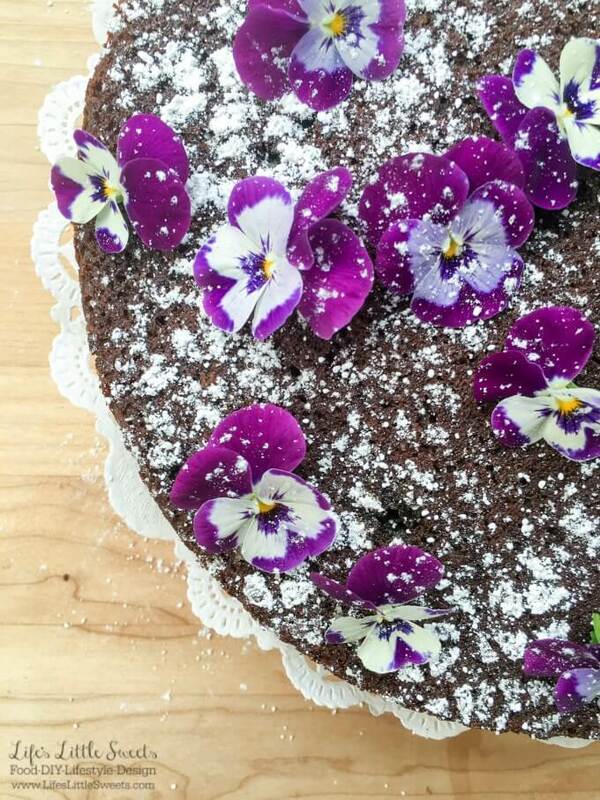 Decorate with clean edible flowers.